​​Rachel Erwin is passionate about facilitating people to quickly move through psychological and physiological blocks that create stress and stop the flow of creative, productive energy. She focuses on facilitating freedom from anxiety created by past experiences, opening the mind to focus on what is present and possible, instead of old and no longer useful. 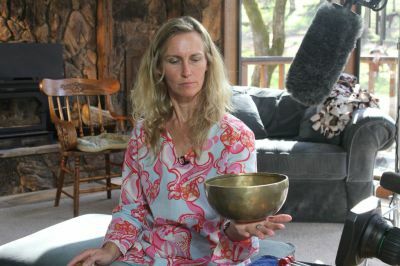 utilizing Somatic Experiencing and sound healing through tuning forks and singing bowls into her practice. Rachel is an EMDR trainer and consultant for the Trauma Recovery EMDR Humanitarian Assistance Program. She works extensively with this therapeutic technique, which is recognized as an evidence-based treatment for Post-Traumatic Stress Disorder by the World Health Organization. ​​Catharine helps people find freedom through the mind-body connection. She facilitates people to learn the language of the body and tap into the deepest aspects of their natural health and potential. Over the last ten years Catharine has had the opportunity to work with teachers at the leading edge in craniosacral work, transformational coaching, conscious movement and transparent communication. Catharine studied Craniosacral Work in London, Asia, and The Milne Institute, California. She is trained in the Co-Active Coaching model. She is a student of transparent communication with Thomas Huebls Academy of Inner Science and a facilitator for the Bay area transparent communication practice groups.